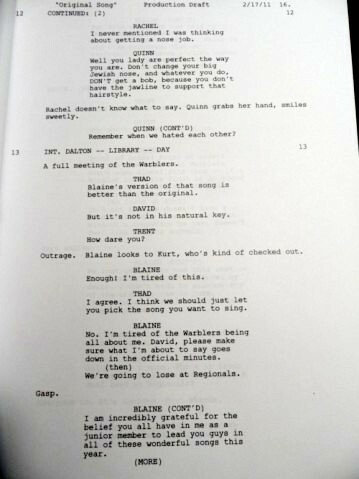 Original Song Deleted Rachel & Quinn Scenes Script, Page 3. Script for deleted Rachel & Quinn scenes in Original Song. Wallpaper and background images in the ग्ली club tagged: glee 2011 rachel quinn script original song.